If Sri Lanka seems to far away, you can escape to a closer island to find inner peace and balance. Madeira and Mallorca are our favourite picks. Ayurvedic stays are usually available from seven nights (light Ayurveda) and complete Ayurvedic detox cure Panchakarma is available from 14 nights. 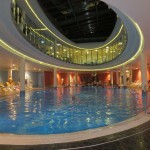 For best results it is recommended to book at least three-week stay. Ayurvedic hotels offer stays without Ayurvedic cure as well, but they are aimed mostly at the accompanying guests, who support the person undertaking Ayurvedic treatment. No hotel offering authentic Ayurveda, would offer complete Panchakarma cure shorter than 7 days as then it would be rather “relax with Ayurveda” than a genuine, effective cure. Neverheless apart from Panchakarma, there are other shorter health and beauty treatments available, for instance Shamana (activation of self-healing powers and bringing up the mood) or Rasayana (revitalisation and prevention). There are two hotels, which we would like to recommend as especially committed to Ayurveda. Both of them are small, friendly places ideal to calm down and sooth senses. AYURVEDA MAJORCA® – A truly unique place offering a variety of genuine Ayurvedic treatments in Europe. The chef preparing Ayurvedic dishes comes from India and the staff members responsible for Ayurvedic treatments come from Sri Lanka. The hotel offers light Ayurveda (from7 nights) as well as Panchakarma (from 14 nights). 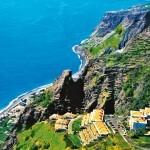 The hotel is located close to the airport in Funchal (8 km, 5 miles). 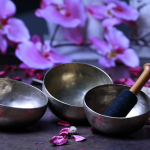 Apart from Ayurvedic treatments, the hotel offers other interesting services such as Traditional Chinese Medicine and hiking trips with yoga.